The food of love – pasta and shellfish for a romantic quick, gourmet dinner. 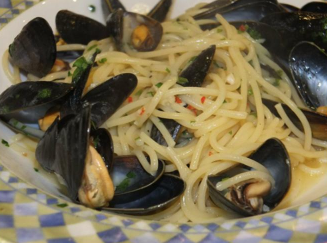 A recipe for love and passion – Spaghetti con le cozze. From the cookery book that accompanies Emma Calin’s suspense romance novel, Seduction of Dynasty.